The Resident Fish above Chief Joseph and Grand Coulee Dams Project, commonly referred to as the Joint Stock Assessment Project (JSAP), is a collaborative effort to assess resident fish and their habitats in the Blocked Area of the Columbia River System above Chief Joseph and Grand Coulee Dams. The fish assemblage existing today in the Blocked Area is drastically different than that prior to hydroelectric development, consisting of 51 known resident species, most of which are non-native. Anadromous fish have been extirpated due to the construction of Chief Joseph and Grand Coulee dams. This project is designed and guided jointly byWashington Department of Fish and Wildlife (WDFW), Kalispel Natural Resource Department (KNRD), Spokane Tribe of Indians (STI), and Confederated Tribes of the Colville Reservation (CCT). Assess current fishery and habitat conditions in the Blocked Area using regionally standardized data collection methodologies. Compile standardized fishery, habitat, and water quality data generated by this and related projects into a publicly accessible database to facilitate data sharing, transparency, and ensure policy makers and fishery managers have access to the latest research with which to base decisions. Recommend and implement management actions based on research results. Identifying, prioritizing, and filling data gaps by collecting quantitative data on current habitat conditions, limiting factors, species composition, distribution, abundance, and life history of focal species throughout the Blocked Area has been the focus of the JSAP since 1999. Specific projects currently being implemented are a stock assessment of native redband trout in Lake Roosevelt and the upper Columbia River, redband trout stock assessment in the lower Spokane River, monitoring status and trends of northern pike and resident fishes in Box Canyon Reservoir and evaluate the effectiveness of measures taken to drastically reduce the northern pike population, and assessing the population structure, movement, behavior, and abundance of westslope cutthroat trout in the Priest and Pend Oreille rivers. Data collected by and acquired through this project is submitted to the Intermountain Province/Pend Oreille Subbasin Data Management Project and other appropriate (e.g. PTAGIS) data repositories for public dissemination. This project was designed to comprehensively identify the genetic characteristics for bull trout and westslope cutthroat trout within the Pend Oreille Subbasin. In addition, the extent of hybridization between bull trout and brook trout, and westslope cutthroat and rainbow trout were evaluated. Bull trout and westslope cutthroat trout samples were obtained in 78 locations throughout the Priest Lake and Lower Pend Oreille subbasins, including the Salmo River watershed (Canada). This project has enabled managers to identify core areas (watersheds) where recovery efforts can be implemented. 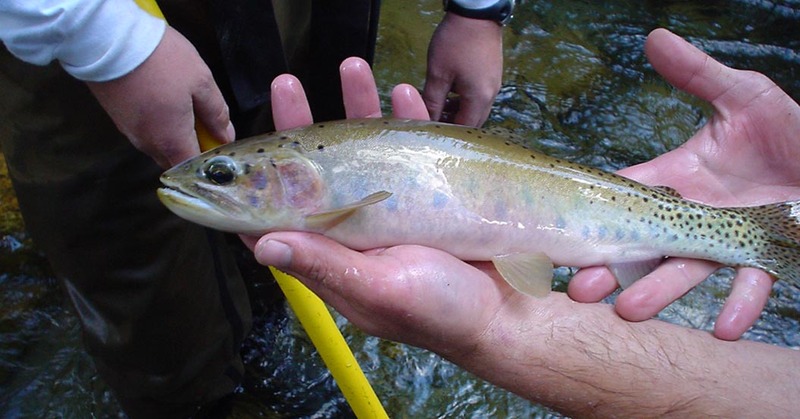 In addition this project has identified isolated pure stocks of westslope cutthroat trout. Recovery of Pend Oreille bull trout is limited by the fact that dams on the mainstream Pend Oreille River, including Albeni Falls and Box Canyon dams, have blocked migration of bull trout between Lake Pend Oreille and spawning areas. Albeni Falls Dam is a federal facility under the responsibility of the U.S. Army Corps of Engineers, Bonneville Power Administration and Bureau of Reclamation. The goal of this project is to provide temporary upstream passage for bull trout at Albeni Falls Dam on the Pend Oreille River and then collect and analyze the data. This project provides direct benefits for endangered bull trout in the Pend Oreille Basin because it allows fish, whose migration corridor has been blocked by hydroelectric projects without fish passage, to return to their natal streams. Read more about the Albeni Falls bull trout project.